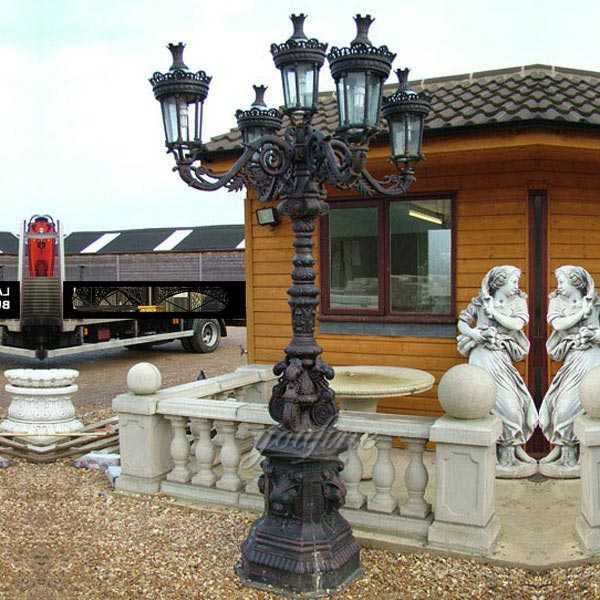 The lamp post itself carries our normal cast iron pedigree, built to last and standing a towering 2.8 meters tall.Each lantern is also supplied with a brass bulb holder suitable for up to a 200 watt bulb. 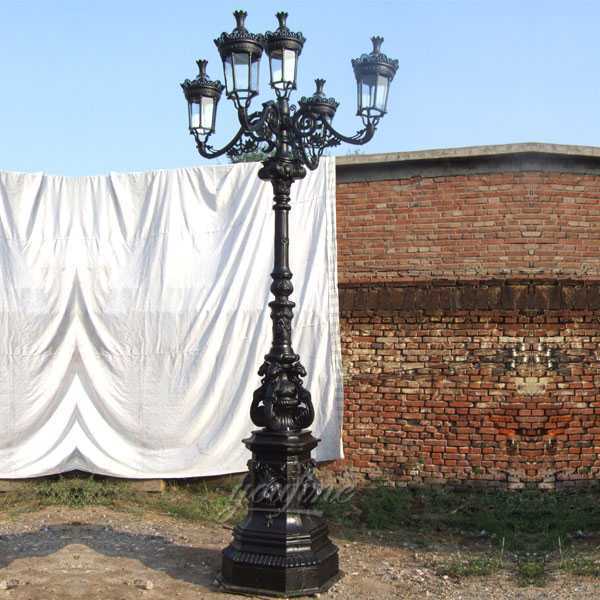 Installing a wrought iron lamp post really is easy and is something you can handle on your own. If you’ve got any questions, we are always here to help! 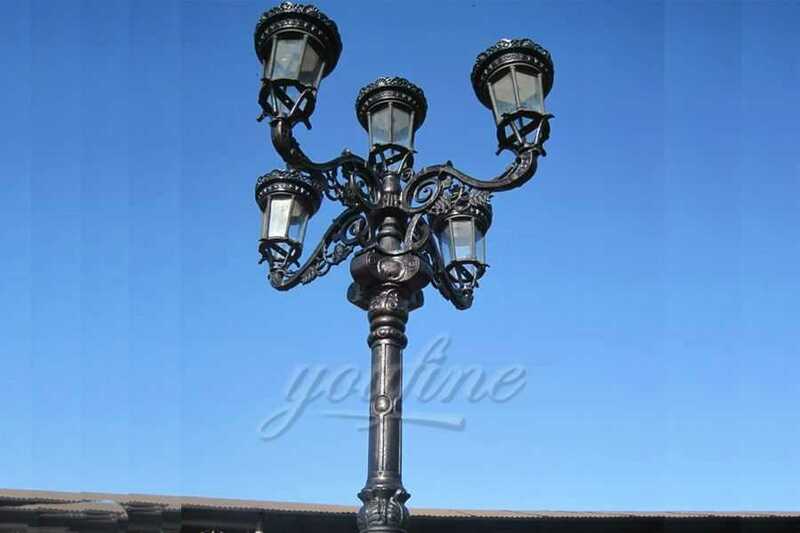 Iron and aluminium decorative wrought iron outdoor lamp post with various styles are available for commercial and residential use. 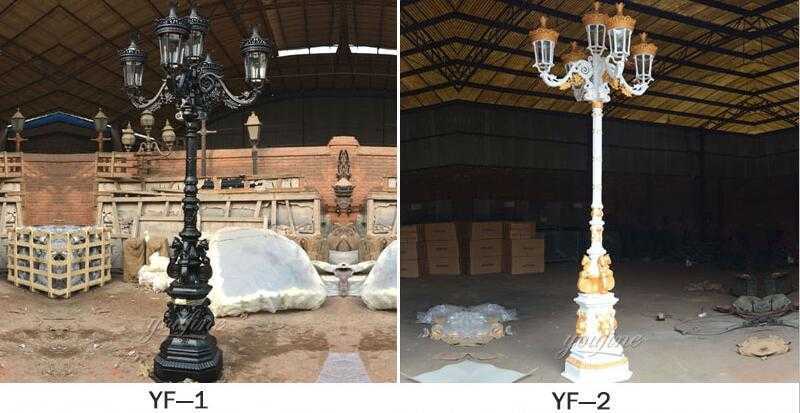 Our street lighting products include a wide range of designs for outdoor lighting projects for residential areas such as city Center Street illumination, car park lighting, park, path lighting and safety, lawn and garden as well as surrounding lighting, swimming pools and so on. WHEN PLACING MULTIPLE LAMP POSTS IN MY GARDEN HOW SHOULD THEY BE SPACED? 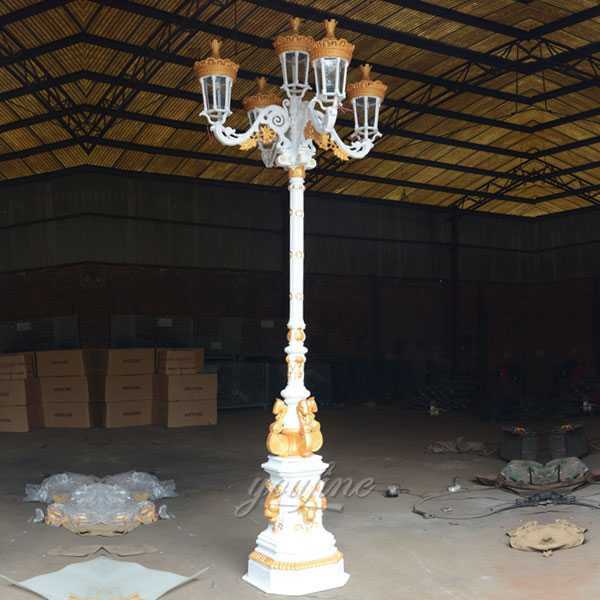 Typically using a 60 watt warm white bulb, a series of 7 ft 5 inch lamp posts will be spaced between 10-20 metres apart depending on the lux level which is to be achieved. Once positioned a higher or lower output bulb could be used to increase or decrease light levels. Your electrician will be able to suggest the maximum output bulb which could be used. Where larger posts are used for extended driveways spacing can increase to as much as 30-40 metres. 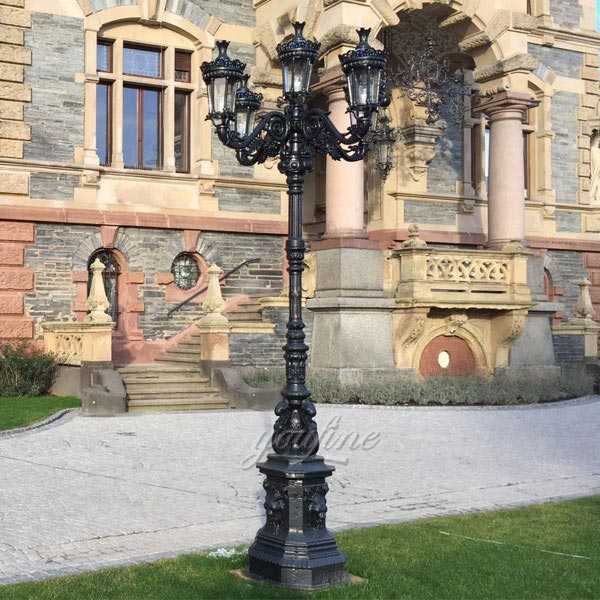 DOES THIS LAMP POST REQUIRE A BASE WHEN POSITIONING IN A FLOWER BED? 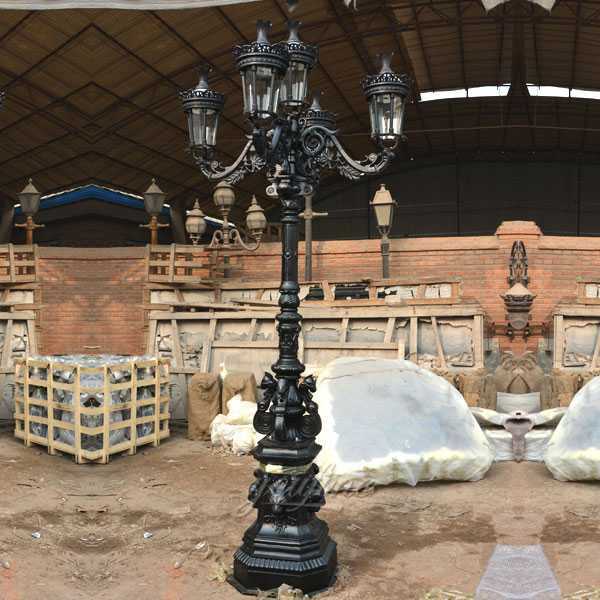 Yes this wrought iron outdoor lamp post does require a concrete base. Depending on location and ground type the base size is normally between 12-24 inches cubed. 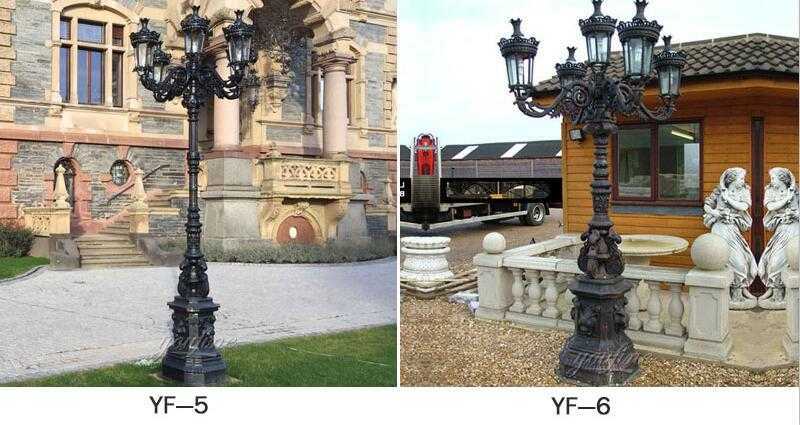 WHO INSTALLS GARDEN LAMP POSTS? Most electricians will complete both the base and the electrical work. CAN I USE THE LAMP POST WITH HANGING PLANTERS? Hanging basket brackets are available upon request. We recommend fixing the brackets using good guage nut and bolts directly through the post. 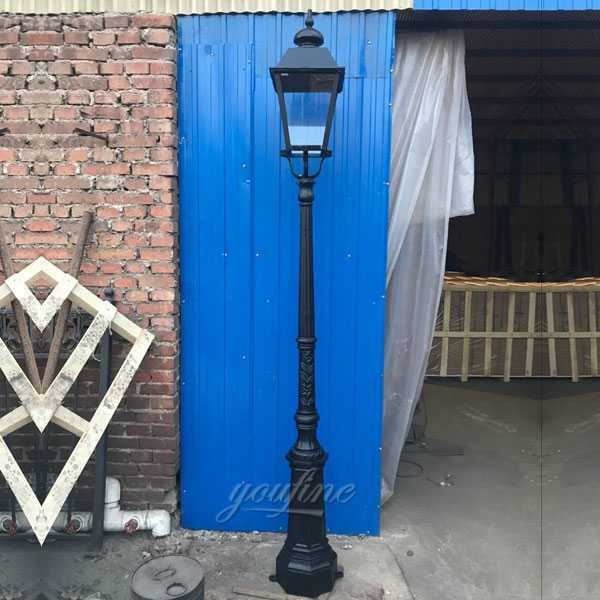 IS IT POSSIBLE TO PAINT THE LAMP POSTS CUSTOM COLOURS? Yes, the lamp posts are readily available in white. Personalized colors are available upon request. We’re very proud of our long history and manufacturing heritage of ironwork, our company continues to lead the way both in terms of traditional craftsmanship innovation and creativity. We’re confident that with the guidance of our founder Cui still strong and the new generations of our family joining the business, that we’ll continue for another 30 years and more. 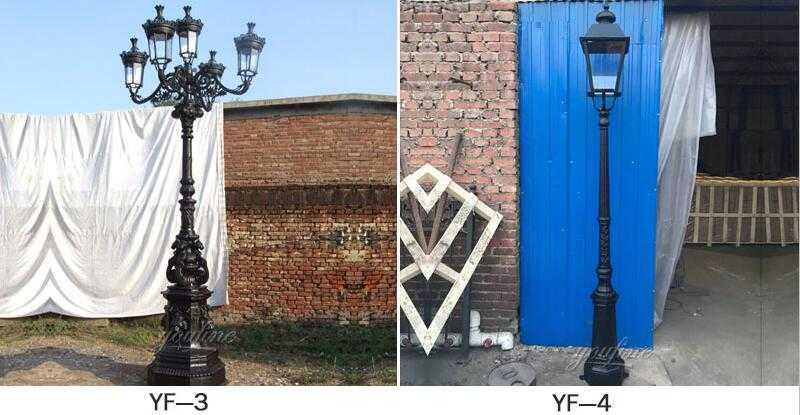 So any requirement about wrought iron outdoor lamp post,please contact with us now,may be we are the better choice of you !